Page 17 - Seeking answers? Join the Tom's Hardware community: where nearly two million members share solutions and discuss the latest tech. Back when we found out that Intel was planning to rename it’s lower end Xeon lines to Xeon E, we postulated that within the same leak, a bunch of processors with ‘G’ in the name were perhaps related to special models with extra graphics, most likely ones powered with AMD’s Radeon graphics cheap. This listing for the i7-8809G reinforces the case that the ‘G’ is focusing on the graphics side of the equation (whether the Xeon E parts have Radeon graphics, we do not know yet). I imagine that this listing will come down fairly quickly. The product page that the link goes to for this chip gives a 404. The annual CES show is next week, which would be a prime time for Intel to announce this new product. We are in the process of reaching out to Intel for information. 3.1GHz 4-core 8-thread Kabylake plus "Radeon RX Vega M GH Graphics" on a 100W Target Package TDP. Dual-channel 2400MHz. Turbo is not mentioned, but it would be 4.1GHz probably. The CPU alone would be 35--45W leaving 65--55W for the Radeon graphics. This is for a laptop? From the original leak, it makes me think that would be their initial target: a "fat" laptop. If the 100W consumption is to be believed, then dissipating that much will require intricate design for laptops. That being said, nothing prevents Intel from putting this thing into desktop, but I guess it makes less sense? A NUC though, that would be the perfect place to put it. Happy new year as well everyone. I wouldn't be mad to have this little guy! The smaller the form factor the more I like it! It all depends on the purpose. Plus, even though nVidia has the upper hand without a doubt, Apple doesn't care. There will likely be a performance impact on AMD CPUs as well in Linux for the time being as the patch applies to all x86 processors without exception. Well, that's one plan to get everyone to upgrade their PC/processors! 3,2,1 GO... stage 1 complete. Over the past day you've likely heard lots of hysteria about a yet-to-be-fully-disclosed vulnerability that appears to affect at least several generations of Intel CPUs and affects not only Linux but also Windows and macOS. The Intel CPU issue comes down to leaking information about the kernel memory to user-space, but the full scope isn't public yet until the bug's embargo, but it's expected to be a doozy in the data center / cloud deployments. Due to the amount of interest in this issue, here are benchmarks of a patched kernel showing the performance impact of the page table isolation patches. The software fix for this Intel CPU problem for Linux/Windows/macOS is expected to introduce a performance penalty and reports are anywhere from 5% to 30%. I've been running some benchmarks and will have some more extensive tests soon, but given all the emails today about the issue, here are my initial benchmark numbers on two systems. The x86 PTI patches are mainline for this past weekend's release of Linux 4.15-rc6. These x86 PTI patches are being back-ported to all supported Linux kernel series right now. But with lots of the Linux kernel PCID "Process Context Identifiers" support being merged just in 2017, the older LTS kernel back-ports are expected to be slower with not having PCID support for avoiding TLB flushes on context switches. As of now, this vulnerability doesn't appear to affect AMD CPUs but is currently still marked insecure. With the latest kernel code, all Intel CPUs are currently marked as insecure. For some initial benchmarks of the performance impact of these changes, I ran tests on a Core i7 8700K "Coffee Lake" system as well as an older Core i7 6800K "Broadwell E" system, the newer system on Ubuntu 16.04.3 LTS and the older on Ubuntu 17.10 and all of the hardware components intentionally quite different... More tests on a wider-range of hardware is coming up soon while waiting to learn more concrete information on this vulnerability, etc. Stay tuned. 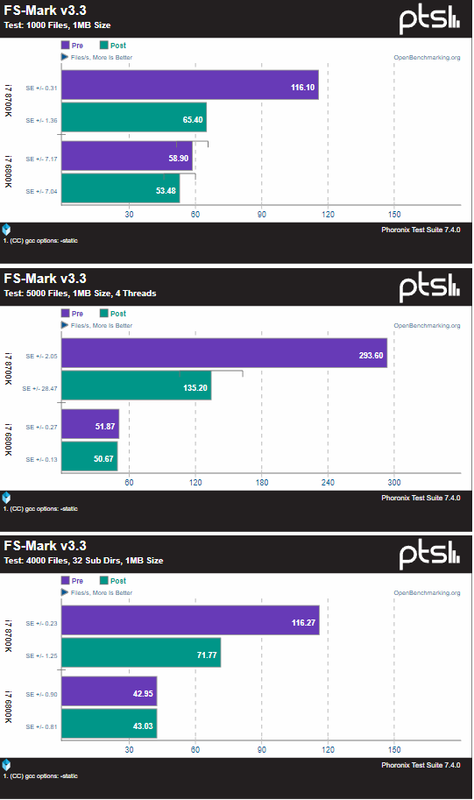 FS-Mark performance appears to be significantly slower with this latest Linux kernel Git code, at least when using faster storage as found with the Core i7 8700K setup. The i7-8700K system was using a Samsung 950 PRO NVMe SSD while the i7-6800K system was using a slower SATA 3.0 Toshiba TR150 SSD. Compile Bench also took a performance hit on both systems. If it's not due to the x86 changes, there is some other big kernel regression in just the last week... Keep in mind these are synthetic I/O benchmarks. While applications mostly limited to user-space activity should see minimal change (if any) in performance. PostgreSQL took a noticeable hit on both systems with the Linux kernel Git code containing the many recent x86 changes. Redis is also running slower. More extensive benchmarks are coming up soon. Update: For those wondering, gaming performance doesn't appear affected. Written by Michael Larabel in Linux Kernel on 2 January 2018 at 09:06 PM EST. Anyone with a list of affected generations of Intel CPUs at hand? I'm reading and hearing that all Intel implementations of the x86-64 instruction set are affected, so pretty much everything going back to the Pentium 4. It sounds like Intel screwed up in it's speculative execution engine by not properly checking for permissions. The "fix" is to basically take the kernel and stuff it in it's own separate address space, which kills performance via increased overhead during context switching. Essentially, Intel just threw away it's IPC advantage. This likely won't get fixed in HW until Intels next generation of CPUs, and even then they would need another OS level patch to allow those CPUs to execute "normally". Everybodys clammed up on the exact details on this one, and it looks like OS developers are rushing to get patches out. This one sounds and looks huge. Since they've improved and changed their prediction mechanism over the time, I don't think it's linked to X86-64 itself (as in, all the way back to P4 days), but I wouldn't be surprised if you're correct on that. I would rather you're not though, haha. And damn... I wonder what is going to happen with data centers after the dust settles down. Also, they need to polish this emergency patch in the kernel (which I would imagine they'll pass it later in normal patches). What a fun start of year for Intel. Look like it mainly effect table I/O. Question from lsatenstein : "Intel chips. Some have serious security flaws, impacting Windows and Linux." The bug affects certain operations in datacenters. It has been known for a while that the impact in final users is virtually zero. EDIT: I don't have numbers for Coffee-Lake but numbers for Kabylake would be representative. Tested with Windows 10 before and after the patch. the higher impacts in applications are 1% in 7-zip and 1% in Handbrake. The impact in others workloads is smaller, e.g. 0.6% in Cinebench and 0% in Blender. The impact on Assasins Creed goes from 0.2% with highest preset to 3% with lowest preset both @1080p. Computerbase.de and hardwareluxx.de just benchmarked i7-7770k and i7-3960X on the patched Windows. The impact of the patch on benches is almost zero. 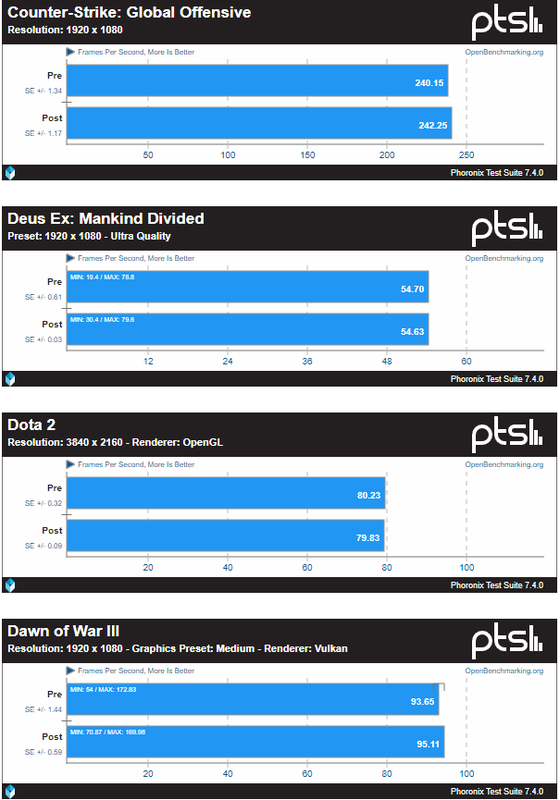 Even some workloads and games did run faster after the patch. I wonder where the devs got the 35% decrease in performance? Must of been an educated guess. 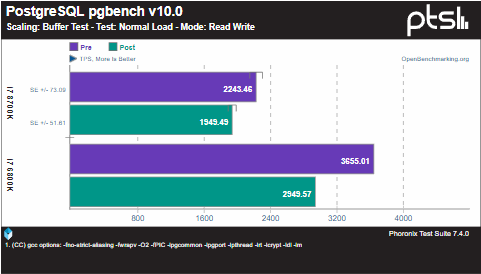 There are some synthetic benchmarks that show a large performance drop in the 35+% range. These synthetic benches deliberately use a huge number of syscalls though and aren't really representative of software typically used on a consumer desktop. Outside of those synthetic benches the performance difference seems to range from non existent to maybe 20% slower as an absolute worst case scenario if you're running a database program from what we've seen so far. MISTAKE: The part of my former message that says that some workloads run faster is wrong. The reviews are in German and I don't speak German. 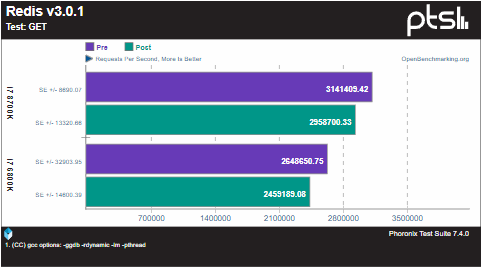 Some workloads are in seconds and so higher score means slower CPU and not faster like I wrote. I am editing my former post. Now your question. Up to 30% was an extreme case obtained in an early evaluation of the impact of the patch on datacenter workloads. The average penalty is smaller even in datacenter: "However, it is irrational to assume that the overwhelming majority of data centers will see a 30% reduction in performance." If you scroll up or just click this link I have initial performance benchmarks in the spoilers, gaming in the next post. Edit: The performance hit is significant in some of those test beyond 35%! I've created a thread to continue the discussion on security information related to the latest vulnerabilities. I like it the NUC! Smaller form factors are my favorite! It's easy to forget that Intel is the leading supplier of PC graphics, but that's just due to the integrated graphics on its processors. Intel's decision to use AMD's Radeon Graphics is a strategic move that likely serves several purposes. First, Intel cannot currently challenge Nvidia's graphics performance leadership in the mobility market. Intel's integrated graphics are capable, but they don't have a reputation for being class leading. AMD's expertise in this area provides instant access to a competitive graphics architecture. Intel's new Vega-infused processors can seriously threaten Nvidia's market share if they deliver on the performance claims. Nvidia's discrete graphics solutions are much thicker than this new solution, and it's going to be hard to compete with 17mm gaming laptops with a 27mm device. 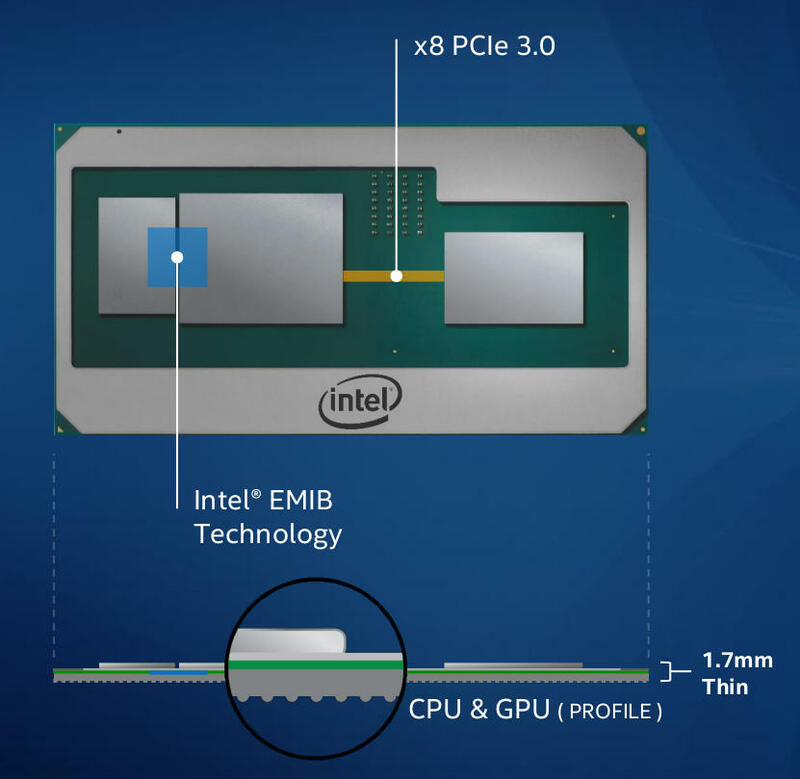 Intel's design could make significant headway in a short period of time, if it's competitive. 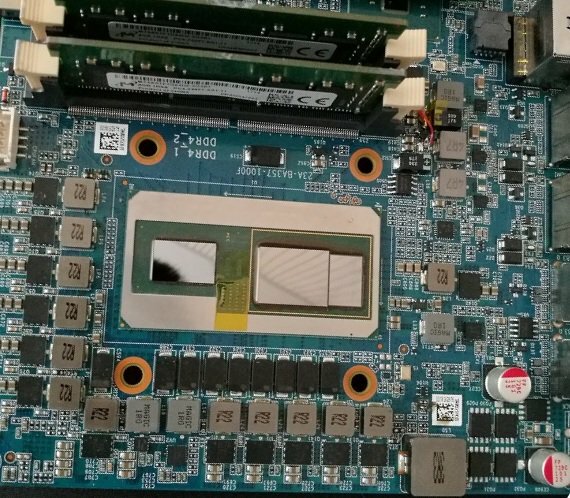 The semi-custom AMD graphics chips also buy Intel some time until its own homegrown discrete GPU initiative, now headed by ex-AMDer Raja Koduri, can deliver a new or updated graphics architecture. Many also wonder why AMD would sell graphics units to Intel, but the answers could be simple. AMD doesn't have a presence in the discrete mobile GPU market, so any revenue from that segment is "extra," and its Ryzen Mobile processors compete in a far lower performance bracket. Intel isn't licensing AMD's graphics technologies; it's purchasing the semi-custom AMD graphics processors as a finished product. If AMD decides to compete in the 65W-100W range, in the future, it would likely follow its tried-and-true tactic of offering competitive performance for a lower price point. For now, Intel serves as a good customer that creates positive cash flow. 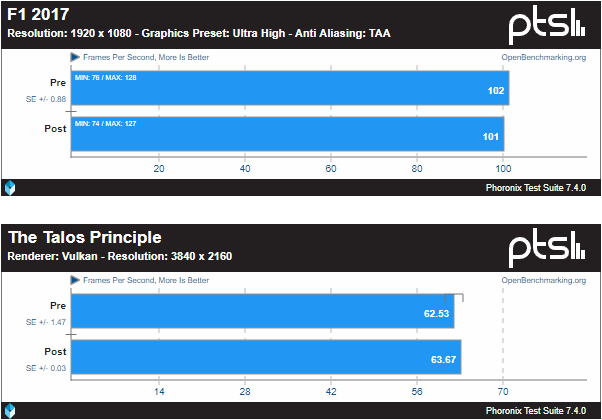 Moreover, you could argue that anything that hurts Nvidia is good for AMD. If Intel gets pricing right and delivers these products to market promptly, it could have a real winner on its hands. It's easy to imagine that most OEMs will be very interested, especially as the design matures. Intel told us that we can expect system designs in spring 2018. Meantime, Intel released information on its new line of NUCs, and Dell and HP also have NUCs coming soon, but the details remain under wraps.